Selling your car quickly for cash is a simple proposition when you approach it the right way. You cannot list your car blindly, attempt to sell it and settle for the one buyer you have found. A car will sell for more money when you follow a few simple steps that will bring you all the buyers that will make fair offers for the car. Take each step to get your car listed in all the right places. The online marketplace has several different websites like: Auto Trader, Mobile DE or Carzoos, that will list your car for free. You can create just one listing on a website, and you may repeat that listing many times over. Copy and paste the content into a new listing, and ensure that you are listing your car in as many places as you can. Do not feel content with just one online listing. Use four or five places that will list your car. Online auction sites, local classified sites and online magazines help list your car properly. How Do You Describe Your Car? The description of your car needs to be as complete as possible. Describe the service history of the car, share any long trips you have taken in it and share any accidents you have had. The service history for your car should be included, and tell buyers that the car has served you well for a certain number of years. Tell your buyers if you are the original owner, and insert as much humor into the description as possible. You must take a few good pictures of your car. Each picture should show the best side of the car, and detail any special features of the vehicle in the pictures. Show the supercharger vent, the sunroof and other items that are not normal on other cars. Your car will look good enough for people to want to see in person. Take your pictures so beautifully that buyers have no choice but to come see the car for themselves. Pricing your car should be a long process that takes several factors into consideration. 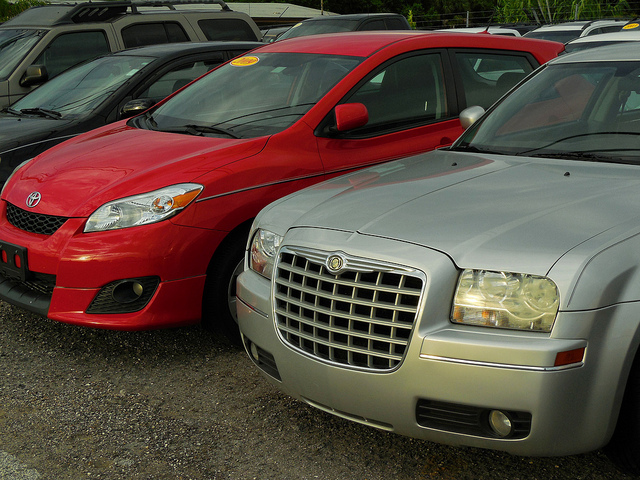 A used car must be priced to attract customers without causing a loss on your part. The price must include every special item featured on the car, and the price should subtract any cosmetic or mechanical faults. You are creating a price you believe you would pay for the car if you were shopping. Every price you set for your car should be designed for negotiation. No car buyer is going to meet with someone who is only interested in taking one price for their car. Listing your price as a dollar figure with OBO attached helps you attract customers who are willing to haggle you, and you can get a fair price from someone who negotiates fairly with you. You must clean out a car that you are no longer driving. The car should be perfectly vacuumed, and the exterior should be washed just before you start the listing. Take out all your personal items, and ensure that you are presenting a like-new car to your buyers. Buyers may want to test drive your car, and you do not want any of your personal items floating around the car while someone else is driving. Meet with your buyers in public places. You can meet at your home, but you must ensure you can be seen clearly by your neighbors. Most buyers you meet online are lovely people who will treat you well, but you must prepare for a buyer who is abusive, rude or plans on stealing your car. A properly scheduled meeting prevents uncomfortable situations from arising. Selling your car online is simple if you are willing to follow the guidelines listed here. Each step helps you create a car listing that will sell your vehicle as quickly as possible. You will receive cash from the sale, and you can move on from a car you no longer need. Selling yourself short will result in no sale or a sale for less money than you wanted. You will get much better results when you plan your sale well in advance.